Foxconn Technology Group (Foxconn), the world’s largest electronics manufacturing services provider, has announced it will invest $10 billion by 2020 to build a world-class manufacturing campus in southeastern Wisconsin. This project represents the largest corporate attraction project in U.S. history as measured by jobs. A global leader in manufacturing services for the computer, communication and consumer electronics (3C) industry, Taiwan-based Foxconn will leverage Wisconsin’s strong manufacturing infrastructure and deep talent pool to manufacture state-of-the-art liquid crystal display (LCD) screens. With 60% of foreign direct investment (FDI) coming from Europe, M7 regularly markets the region to European prospects in Spain, Germany, France and Great Britain. HARIBO, the German-based confectionary company and maker of the popular "Gold-Bear" gummy candies, has selected Kenosha County as the site of its first manufacturing facility in North America. The new $242 million plant in Pleasant Prairie is expected to begin operations in 2020 and employ 400 workers. Founded in 1920 and based in Bonn, Germany, HARIBO is the world market leader in the fruit gum and licorice segment, with 100 million Gold-Bears produced daily worldwide. 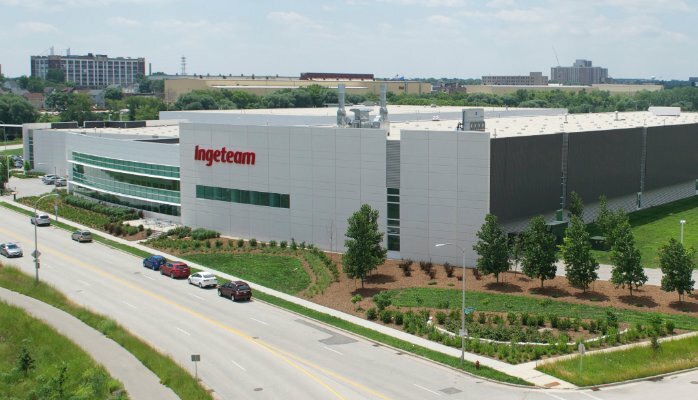 Another example is Spain-based Ingeteam, a manufacturer of generators and inverters for the wind and solar energy markets, which selected Milwaukee for the firm’s first U.S. manufacturing facility. M7 led the regional response, persuading Ingeteam to select Milwaukee from more than 100 other sites in 10 U.S. regions. Although the company origin ally preferred to buy an existing building, it soon focused on building a new 140,000-square-foot, $15 million facility. The Ingeteam attraction project generated direct benefits for southeastern Wisconsin: 275 high-paying manufacturing jobs and millions of dollars in capital investment. But the positive impact of the project has been felt in other meaningful ways. A second Basque company – Inesa – established a small operation in Milwaukee to supply to Ingeteam. And the M7 team has formed a productive relationship with the Basque development agency, SPRI, and the Basque government. Numerous initiatives are underway to build partnerships between the Basque and Milwaukee Region. Created in 2007 to stimulate investment and new jobs in the U.S. economy, the federal immigrant visa investor program has grown rapidly. The program offers foreign investors and their families the opportunity to apply for green cards in exchange for qualified investment in qualified local projects. 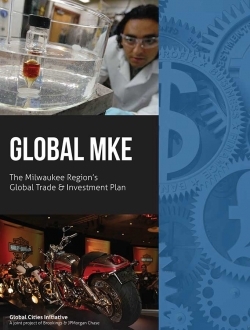 In the Milwaukee Region, the Milwaukee EB-5 Visa Program has resulted in a total investment of more than $250 million in the past five years. Example investments have included the Brewhouse Inn & Suites in downtown Milwaukee, located in the former Pabst Brewery facility as well as several investments in Walworth County like the Geneva Ridge condo-hotel project.